How much will it cost to relocate? A simple question, that can have a surprisingly complicated answer. Figuring out how much you will have to pay to relocate is not easy. There are multiple factors that influence the total cost of your move. Therefore, you need experienced movers to give you moving quotes Columbus Ohio, in order to have a good idea about the final bill that is to come. 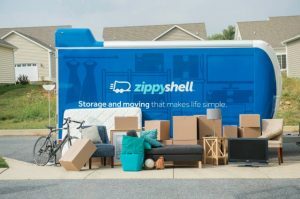 Luckily, Zippy Shell Greater Columbus Moving and Storage is here to provide you will all the information and services that you might need. Only by having multiple moving quotes Columbus Ohio can you know what you move is actually going to cost. Moving estimates are provided by moving companies. They are calculations made by the moving companies that try to predict how much will it take to relocate your possessions. The more experienced the movers are, the better they are able to figure out how much time and manpower will it take to execute your move. But, there are always unforeseen elements that might influence your total price one way or the other. Therefore, even though the estimate was good, it doesn’t always happen that it truly represents the total cost. In essence, there are two types of estimates. Binding and non-binding. A non-binding estimate should be considered as a rough estimate. Most online estimates are non-binding. This means that the estimate you get doesn’t have to represent the final bill. They are there to give you a rough idea on how much your move might cost. Binding estimates, on the other hand, often have legal requirements to represent the final bill. At least to a certain degree. You will receive a binding estimate once our representative comes to your home and has the chance to fully examine your items. Only then can we be sure of how much your move is going to cost. What we recommend is that you get as many moving quotes Columbus Ohio as you can. Whether you are moving long distances or short, you will have a much better idea on how much is fair to pay for your move if you have multiple estimates. Furthermore, you will be protecting yourself from moving scams by doing so. 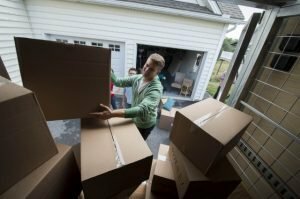 There are bad moving companies out there that are willing to take advantage of their customers and your best way to recognize them is by knowing how much you can expect for your move. Only then will you recognize if an offer is suspicious. There are multiple reasons why it is important that you get quality moving quotes Columbus Ohio. They will, not only help you with figuring out how much your move will cost but will give you a chance to get some necessary info. Only by going into the process of getting an estimate will you know how much stuff you actually need to move. Mind you, this information is necessary whether you are hiring storage services or simply relocating. Our professionals will not only give you an estimate but will help you plan your relocation. When our representatives come over they do not simply check out your items and give you a price. They are there so that you can plan your move with them and find out what needs to be done. Some items will need different packing containers in order to be properly relocated. While others, like heavy furniture, will need special services and considerably more time to relocate. Some will require special padding and wrapping. But, the only way for you to reliably know this is to contact us so that we can come over and give you a proper estimate. If you don’t relocate often, there will be a lot of things that you are probably not aware of. As our movers will tell you once they come over, there are multiple factors that can influence your moving cost. The most obvious one is, of course, the number of items you need to move. But, what you need to realize, is that it is not only the amount or the weight of the items that influence the moving cost. There are many variables, and only by having reliable movers estimating your relocation can you know what they are. Timing is of great importance when it comes to moving. What we advise our customers is to move outside the peak moving season. Most people only move during the summer and early autumn. We suggest that you avoid these months if you want to make your relocation cheaper. The idea is to move when the least amount of people are moving. In our experience, that means that you should avoid weekends, as most people don’t like taking time off work for relocation. Furthermore, you should avoid Mondays and Fridays, as the people who do take leave of work like to combine weekend with it. Finally, avoid the first and the last couple of days of the month. Moving is a project and most people like to start their projects or finish them within the current month. By picking the right time you can save a fortune on your next relocation. Talk with our movers for more info. While we believe that you should be informed about every part of the move, some movers don’t. Therefore, you need to realize that whatever a moving company does for you, they will charge you for it. Unless they say otherwise, every extra service is going to come up in the final bill. If you work with us you can be sure that we will explain all of our services before you agree or sign anything. Furthermore, we assure you that we will do no paying service before consulting you first. We believe that being honest and upfront is a good way to run a moving company. Therefore you can be assured that when it comes to moving quotes Columbus Ohio, we will provide you with the closest one to the final bill.